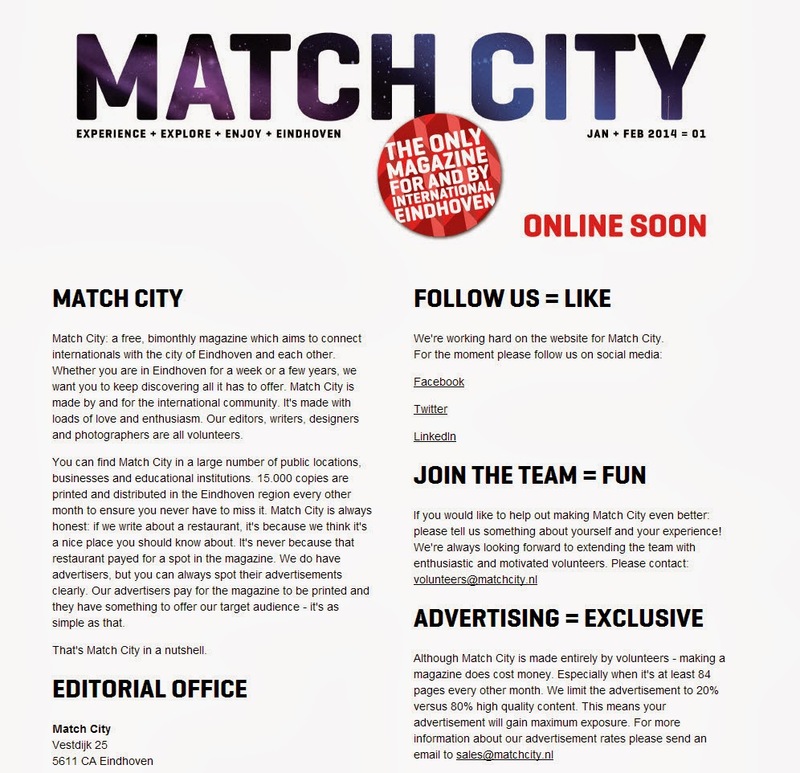 Critical Distance Insights & Opinions: So how will Match City Magazine ever work? One of the things I hated when working in the corporate world was being told that "we tried that and it doesn't work". It was often a good reason to have a go anyway. But in this case, the launch of an 84 page free magazine for Expats in the city of Eindhoven, I just don't understand how this is ever going to work. Volunteer projects never succeed unless their is a core of paid professionals. And as an advertiser, I want to understand who the audience is before I invest one cent. Paper is so dead as a low cost way of sharing an idea - it is not for nothing that the commercial magazine industry is in crisis. Seems issue 1 is being distributed right now and a website is to follow. Nice idea. May be it is even needed? But print in 2014?